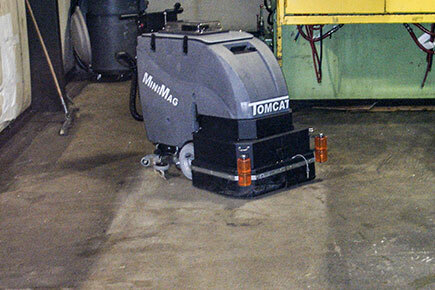 All of our MiniMag Floor Scrubber Dryers offer more cleaning power than other machines, as well as the deck can be protected by heavy steel gaurds to prevent damage. 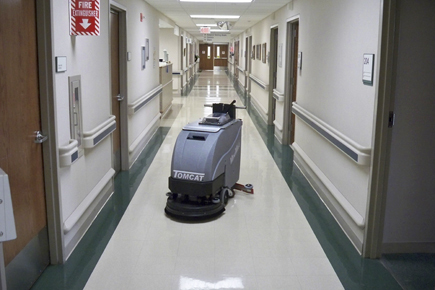 Our MiniMag Floor Scrubbers are not only loved for their long battery life or smaller frame size to get into tight spots, but also because of their unbelievable scrubbing power. 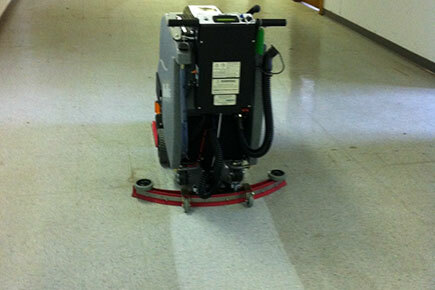 The MiniMag Scrubber can get into old floors where dirt has been settling for years and make them look new again. 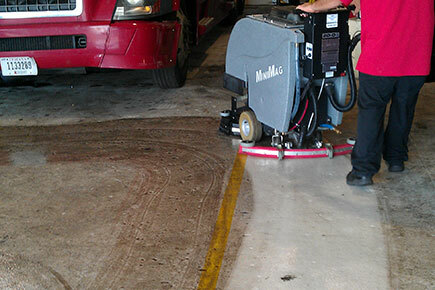 See the original color of your floor without dirt on it with our MiniMag Scrubbers. These machines are some of the World's most powerful auto-scrubbers. 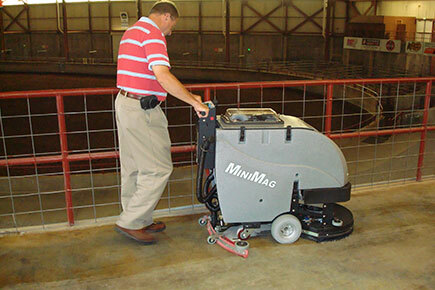 Clean your stadium and seating area easily and quickly with our MiniMag Walk Behind Scrubber. 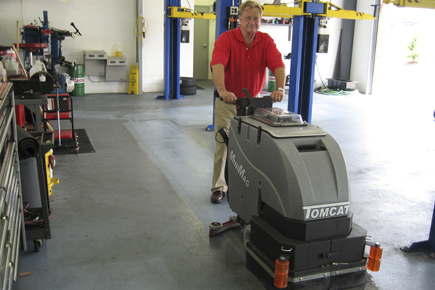 We also offer Pad-Assist drive MiniMag which save you money and prevent the operator from pushing except for on large ramps. 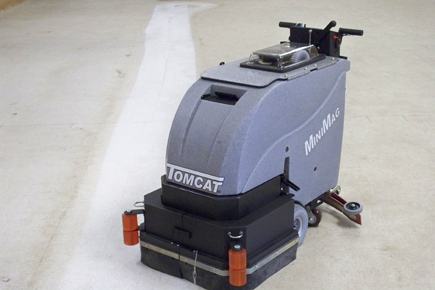 Tomcat's heavy steel contruction, 100% stainless fasteners and polyurethane rollers offer superb protection to prevent any damage to happen to your machine.